The end cap is the main component of the ball mill. Due to the large variation of the wall thickness, shrinkage holes and shrinkage defects are likely to occur at the lower small flange journal and the upper flare neck journal, which seriously affects the product quality and becomes a constraint on production and delay. 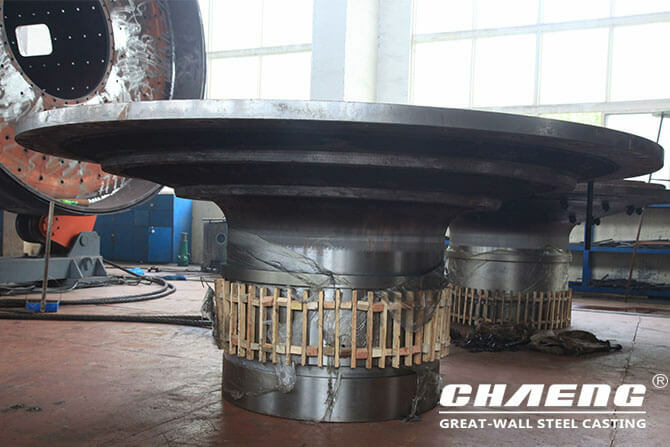 CHAENG makes much innovation in the production of ball mill end caps, producing end caps with short construction period, long service life and high quality. 1.CHAENG has 4 large-scale natural gas heat treatment furnaces, and adopts special heat treatment technology to improve the hardness of the end cap and greatly enhance the impact resistance. 2. 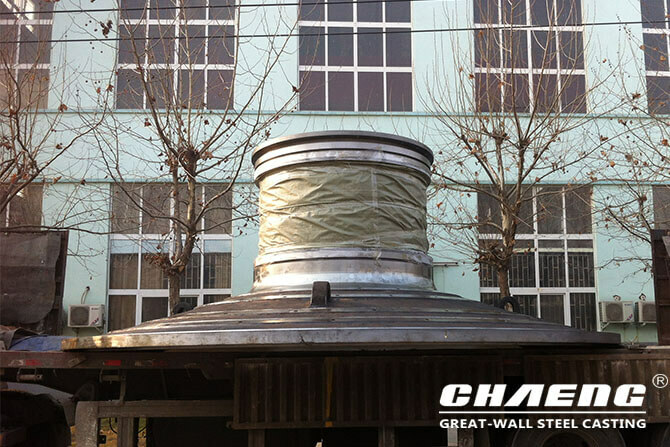 The ball mill end caps produced by CHAENG are made of high-quality 35# steel materials. Under the strict casting standard of CHAENG, the end caps are prevented from having blowholes, sand holes and cracks, which greatly guarantees the quality of end caps. 3. 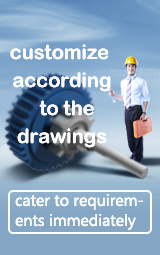 CHAENG has an advanced casting team, can carry out mass production of end caps in short production cycle. 4. CHAENG strictly inspect end caps before delivery, to ensure the quality of each product. CHAENG and a large cement factory in Xinjiang maintain a long-term cooperative relationship. The ball mill end caps of this factory has different degrees of damage and needs to be replaced in time. CHAENG immediately customized a batch of suitable end caps for them. The factory said that the casting technology of CHAENG is advanced, the production cycle is fast, and the loss caused by the suspension of production is greatly reduced. Today, the end caps is still operating normally without any quality problems.